Despite my penchant for making up words, rhyming (“Stop that rhyming I mean it!” “Anybody want a peanut?”), onomatopoeia, and truncated terms, when I first came in contact with “adorbs” I found it truly less than adorable. And these two are definitely something to sing about! 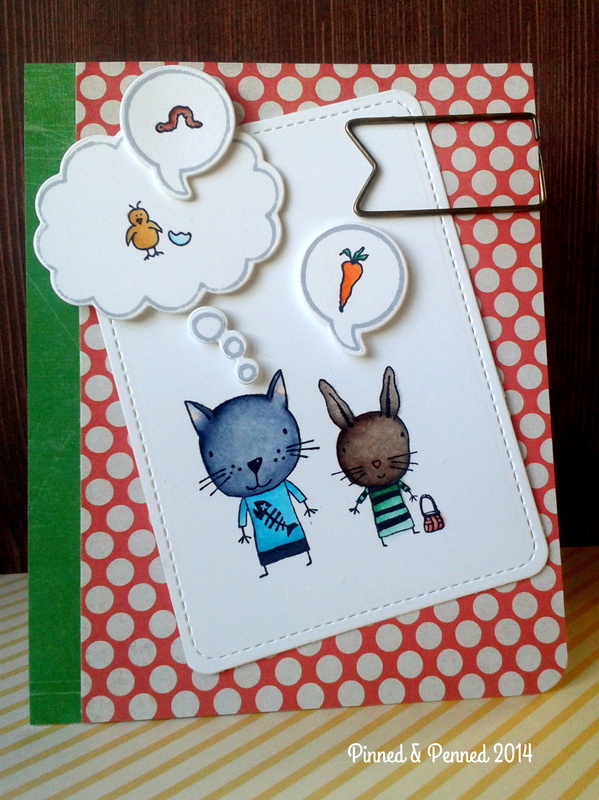 I’ve had the tough guy for awhile, and featured him on a couple of cards you can see in my 2013 Gallery; the baby bunny is new to both of us! I couldn’t resist when I saw him on the shelf at Impress Stamps last weekend, and I couldn’t wait to get them together! So the cat and bunny are from an awesome company, Catslife Press, out of Oregon. You can order wood-mounted or unmounted stamps directly from them, or find a store near you on their locator page. I’m crazy about cats and theirs are definitely adorables. And what are they hoping the Easter Bunny will bring? All three of these stamps are from Rosie’s Roadshow. Tiny times!! I pulled out my Copics for everything but the carrot’s body; I used my Gelatos for that, as I don’t have a good orange Copic just yet. Oranges and purples are what I have left to round out my collection. My Copic skills were a bit rusty as I’ve not colored since December! Tiny images are tricky, and I’ve some bleed. Also, the camera has not captured the shading on the chick, egg or carrot very well. My ombre effect on bunny’s shirt somewhat comes through! But overall, I am pretty happy with how everyone turned out! I am sure I’d be coloring better if I’d taken Sandy Allnock’s class at Impress on Wednesday night! She rocks the Copics! Stamp Nation is also featuring a month-long Copic tutorial with Some Odd Girl, so I am looking forward to learning what Kristy Dalman to offer! 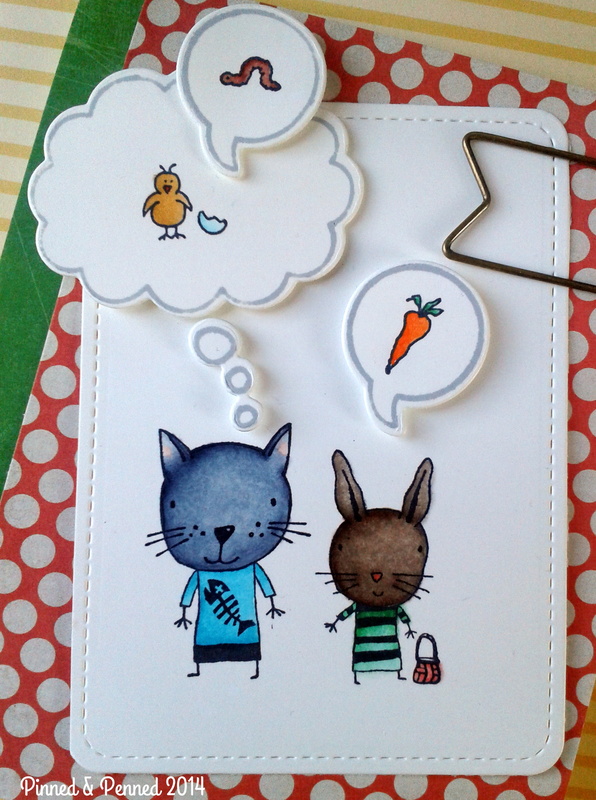 The stitched-lines notecard, speech bubbles and sentiment are from Lawn Fawn. I finished off the back and inside (as usual!) with some washi. 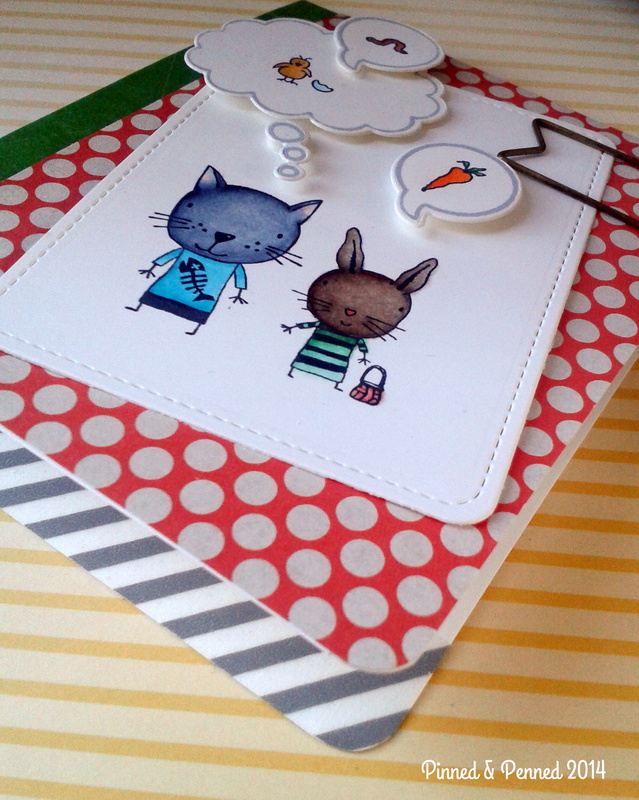 I am featuring that great green paper from Hey Boy as seen in my last card and dots are from DIY Shoppe. And speaking of tiny, adorable things I have an old card from the summer I never photographed and put into the gallery. 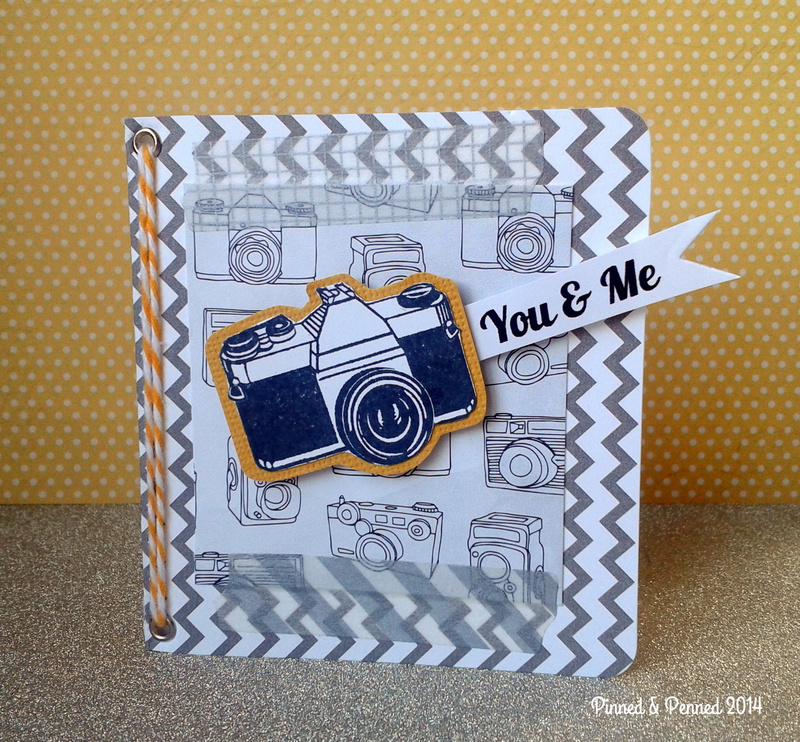 The camera is from Stampendous, I believe. 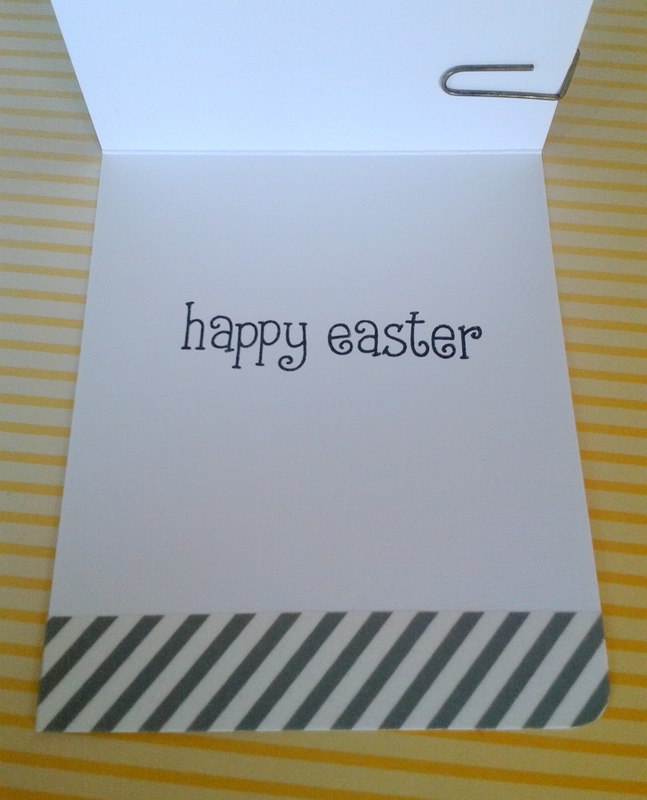 I stamped, glossed, adhered to yellow cardstock and fussy cut. 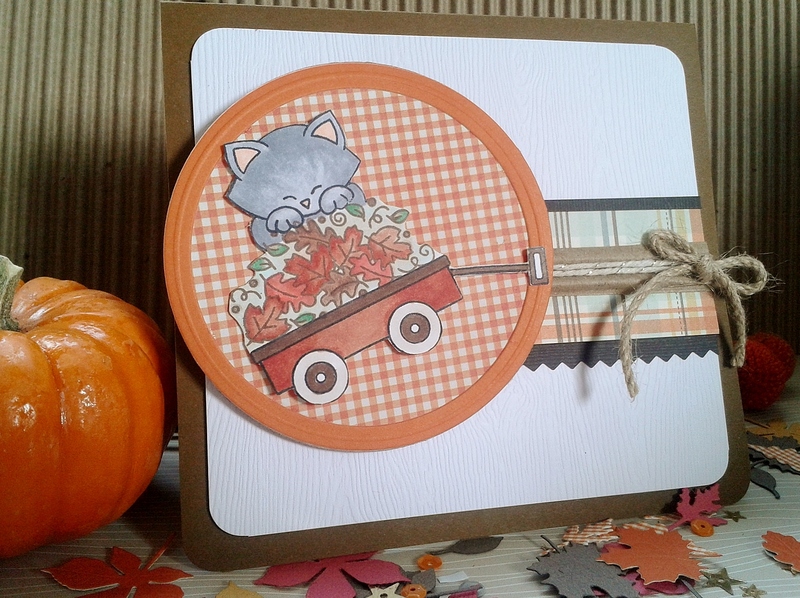 The papers are from Amy Tangerine and Amuse Studio; camera paper is adhered with some die cut Shape and Tape. 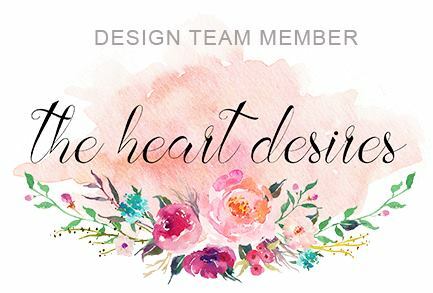 I created the banner and inside sentiment on the computer. That’s all for me this evening! I will be back later in the week with more animal-themed goodies, as well as some tips and techniques. So check back soon! I hope your week is filled with all kinds of cuteness! Well, hello there partners! It’s been a bit quiet around these here virtual parts. The noise has all been happening my “real” world of work, personal, and exciting creative commitments the past 2 weeks, so the site has lain silent a bit longer than planned. I wish it were still March 4th, so I could say, “Now it is time to March forth…” and have the pun be relevant! Pretty good, don’t you think? I love a double entendre, and if you haven’t noticed, anything witty and wordsmithy! So tomorrow I will be happy to reveal some thrilling news and corresponding work that I hope will be inspiring to you! In the meantime, I will share some recent watercolor work that was prompted by play and, unfortunately, necessity. This is heading over to Virginia’s new challenge, first up, watercolors! Recently several clients have lost human and animal family members, so I have been working on some sympathy cards for them this week. 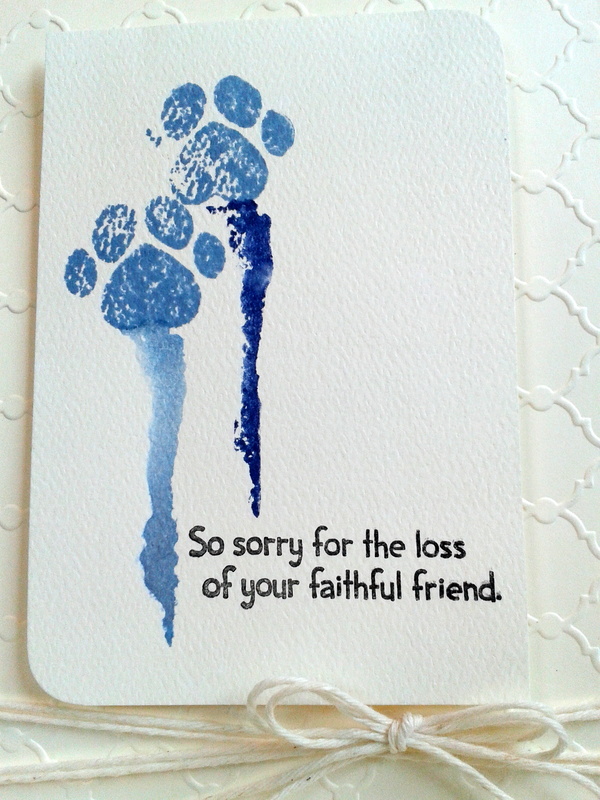 Completed is a card for a family who lost their beloved dog of 18 years last Saturday– 18 years! While losing an animal companion is certainly different than losing a human one, it is nonetheless a traumatic event that significantly alters one’s life. And anyone who has nurtured an animal from infancy, or a young age, to adulthood knows the incredible bond forged between two species that transcends verbal communication. It is a relationship that teaches selflessness, incredible patience, and commitment if one really takes the time to listen and understand the ways of a creature, who in many aspects may not be entirely different from you. 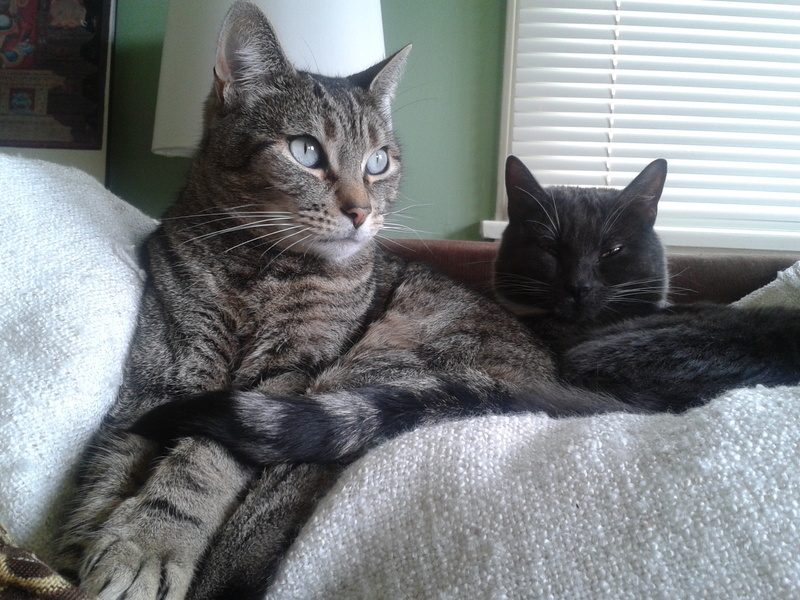 I often feel like a little zoologist in my humble habitat as I observe daily the intricacies of my cats’ behaviors and moods, and their shifts and development over time. For example, just as we grieve our humans and animals, our animals also grieve, and witnessing this in my cat, Atticus, was a complete paradigm shift for me as I watched his attitude and behavior drastically change upon the loss of his best friend, Claude. It took about 8 months for us to have our Attie back to “normal”, though since Claude’s untimely death, Atticus has retained a level of clinginess we’d not experienced before. So I find it appropriate to honor the life and passing of our animals just as we honor the life and passing of our fellow humans. I hope my little card here does just that for it’s recipient. Watercolor has been taking the paper crafting world by storm; therefore, I decided to dabble a bit. It seemed an appropriate choice for the content of the card. I initially began playing with Distress inks and my Paper Smooches Paws for a Cause dog stamp (partial proceeds from this stamp set will go to Home for Good, so buy this set for you or the animal loving stamper in your life); then I moved on to the paws! I have a series of these “dripping” paws which I will showcase later. The watercoloring/stamping technique pulled me in so much once I started, I couldn’t stop! Below is a series of my dogs that I created. Click on any image to enlarge or watch a slideshow. So the technique… I initially inked my craft mat with Distress in Stormy Sky, Faded Jeans, Crushed Sapphire, Peacock, and Tumbled Glass. For some of the stampings, I directly inked the stamp, stamped on watercolor paper, and then stamped again with another color, adding water either to the stamp or to the paper with my brush. For other applications, I added multiple ink colors to the stamp, sprayed with water, stamped, and then re-stamped partially with a particular blue or blues. I then went in with my paintbrush and added color here and there to the image, moved color around, altered perspective in the dog’s head with the addition of color (in images some it looks like his head is turned, in others it looks like we are seeing the back of him). Overall, I really just played around with the ink and water both on the stamp and on the paper, sometimes intentionally manipulating the color or flow, other times working more spontaneously. 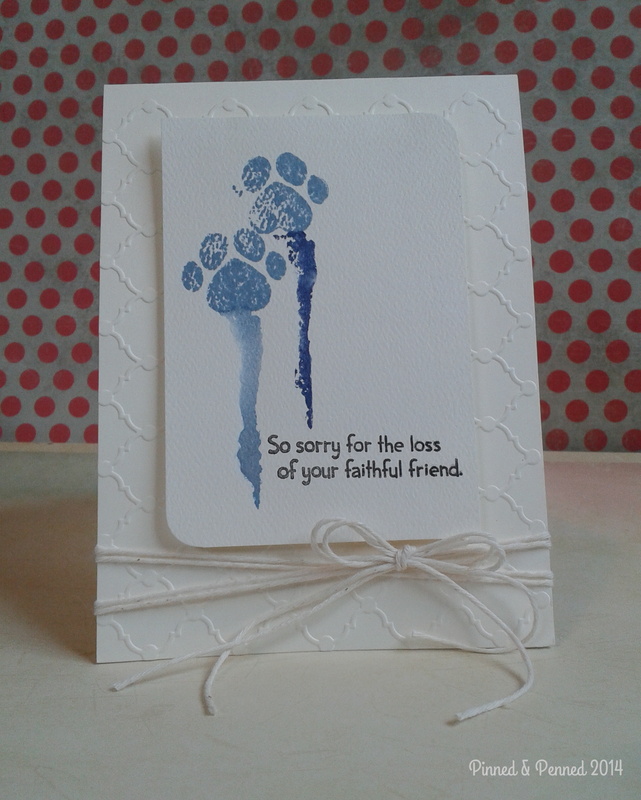 I worked the same way with the paws, though in this card, the paws were just stamped once, the dripping was stamped once then manipulated with a brush. The dripping is from Fresh Squeezed Stamps’ set “On Trend.” Sadly, if you didn’t already know, the paper crafting community is mourning the loss of that stamp company. Their “On Trend” set is one of my favorites of all stamps from any company. I will be sad to see them go. They produced quality stamps that were quirky, fun and definitely on trend! Right now they are offering 30% off all merchandise until March 31st, so check them out before they close for good. And speaking of closing (but not for good! 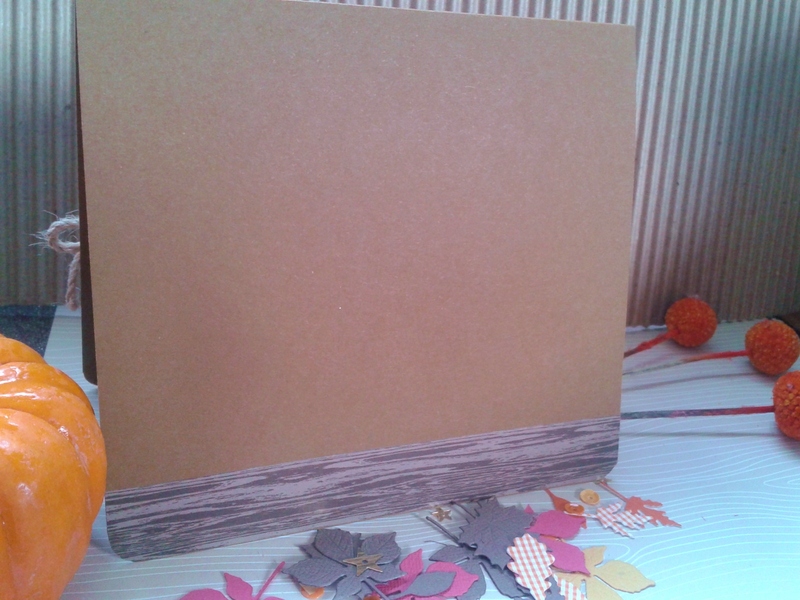 ), I will bring this little entry to it’s end, as I need to prepare tomorrow’s post, and check out what some of my crafty friends have been up to! I am feeling pretty out of the loops, so it’s time to do a few around the blogosphere, dropping some love and picking up some inspiration along the way. And if you have the time, drop me a line! It would be great to hear from you! Like Bob Barker used to say at the end of the Price is Right, “Help control the pet population. Have your pets spayed or neutered!” and, I will add, consider adoption first, as well donating to your local rescue group! Every little bit helps a furry friend in need. I am loving all the word inspiration that Cas-ology is throwing our way lately. So much fun! 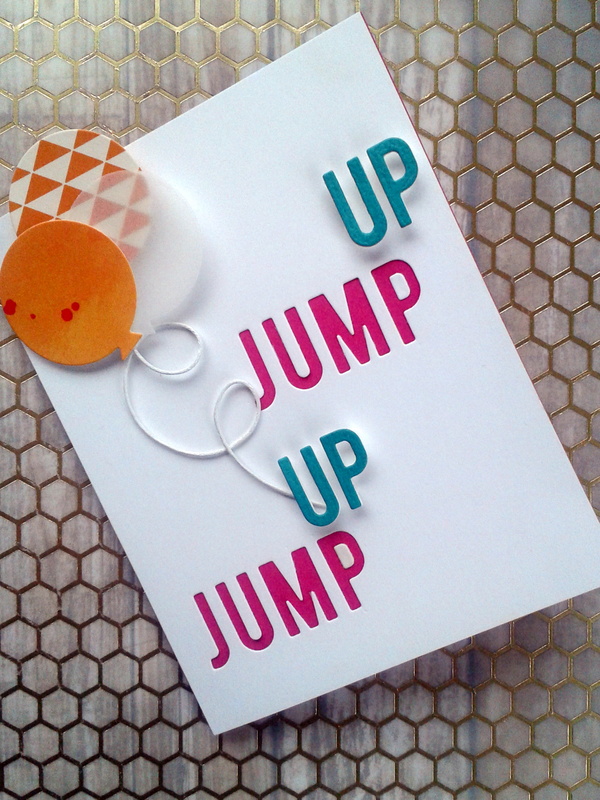 This week’s word was Jump. So I hopped to it inspiration-wise, but after sketching and prepping my designs, the cards had to wait until today to be executed. 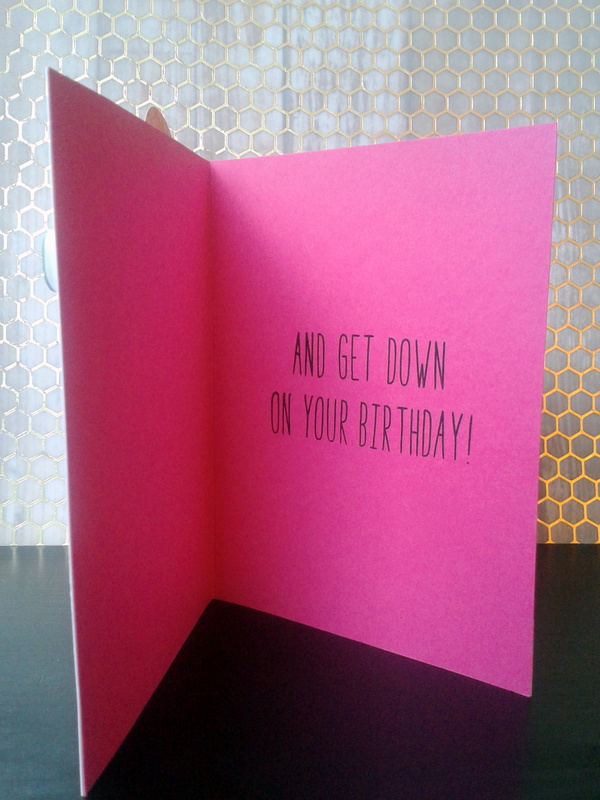 And of course, when it came down to it, they took me longer than planned, and found me dithering quite a bit–I am moderately happy, though, with this first cheeky card that resulted. 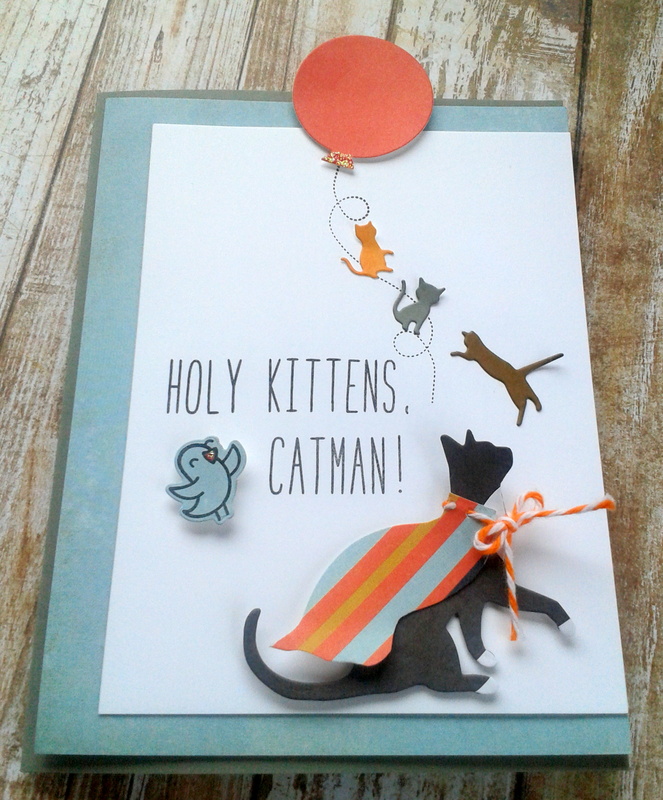 I wanted very badly for Catman’s cape to look a bit more authentic with an insignia and more fluidity, but I was struggling with paper choices and getting it just right; none of my die letters or stamps looked right–but as I write this, I just realized I didn’t try my sparkly Thickers. Hmmm….I will have to try that out and update if it’s a success. Well, anyway, I finally settled on the stripe, which ended up altering the entire color scheme from a primary, bright palate to a muted one–hence, Catman’s Robin turned into a bluebird! So, now he kind of looks like he’s wearing a cut-up pillow case or sheet. And, who knows, since he’s Catman, maybe he is. He’s the superhero of the house, keeping the kittens in line, listening to his wise bird friends outside. You know, being a super-cat on the inside! So here is the cool thing about the cape, though. I used the Curious Cat die from Memory Box to cut both my cat, his white paws/chest, and his cape. Double-timing tools! I fussy-cut the body into a flowing cape that would fit him perfectly. Then, using PTI’s Stitching dies, I die cut the holes so they would be nice and neat and laced through the twine. Now let’s talk about these kittens!! Could they be any cuter? 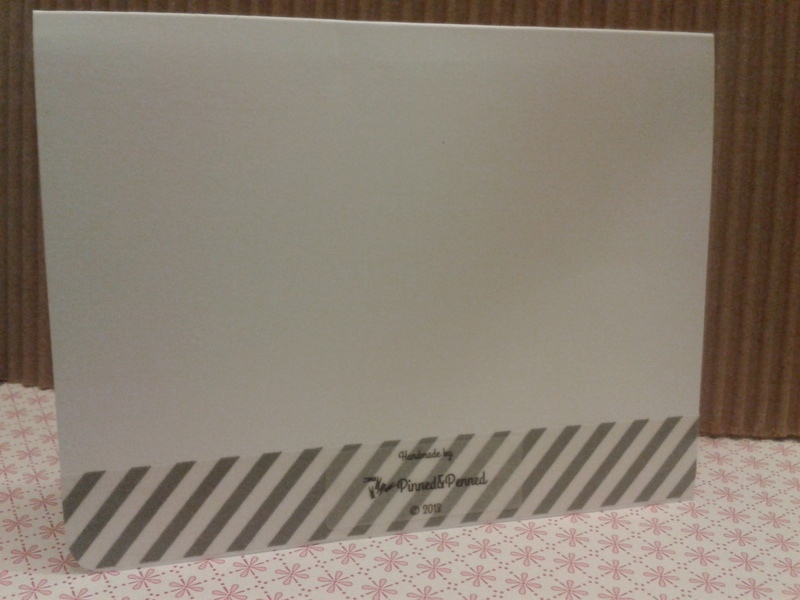 Memory Box again. They are brand-new. And so adorable. The minute I saw them, I knew I HAD to have them. 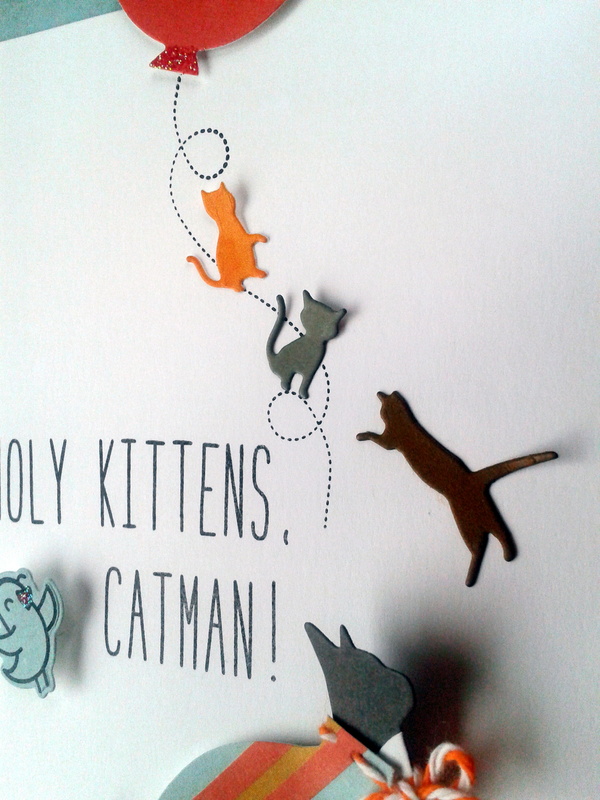 I have tried to give them and Catman additional movement by lifting their heads and tails a bit. Now, folks, there is one little snafu on this card. Can you find it? If not, good. If so, well, concentrate on those darn kittens instead!! I didn’t have time to execute the background a THIRD time. At least nothing is misspelled. There were quite a few supplies used to make this little scene. I have already named a few. 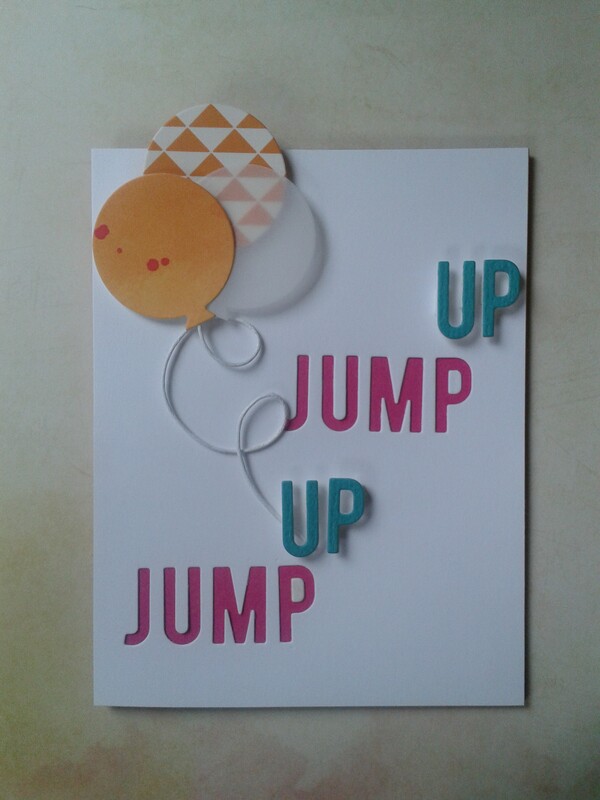 The rest are as follows: PTI’s Birthday Style Balloon die; Memory Box swirl stamp; Lawn Fawn Milo’s alphabet, and little bird from A Birdie Told Me set; papers from Basic Grey Persimmon pack, Bazzill & Neenah Solar White; Fruit Punch Stickles; Brilliance black ink. I played on my Thick and Thin card a bit for this one. Mama Elephant provided the In-Line die letters. I was very much trying to keep this CAS with pops of color. Do you remember the song by House of Pain? 1992? My freshman year of college–and it was THE song playing at all the dance places and bars. What a memory: backwards-cap wearing jocks jumping around like fools with plastic cups of beer in hand, sloshing (them and the beer) all around the dance floor. Funny what the mind hangs onto, isn’t it?! Now that I have dated myself, let’s turn to the inside of the card! 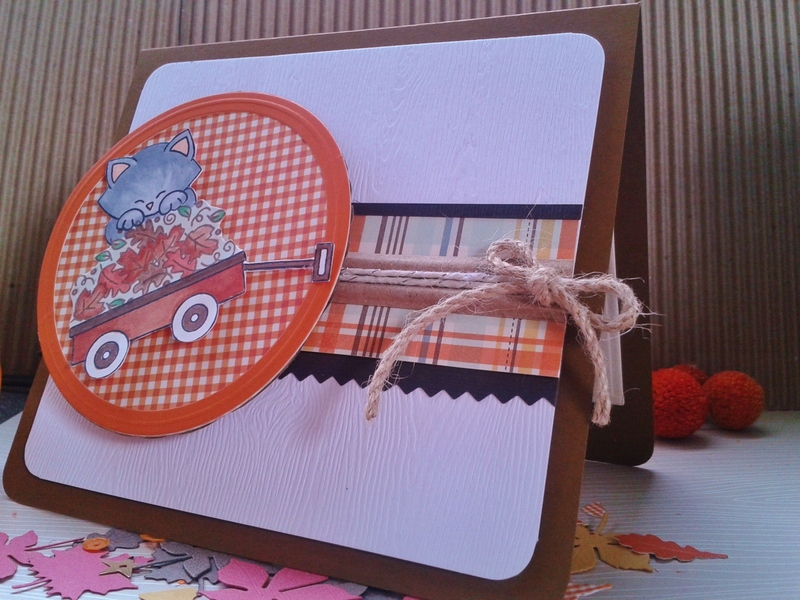 And the back is finished off with some fun wide washi! And that’s all for me! With a hop, skip and a jump, I am outta here! A little something called work is calling on this dreary Seattle evening, and Monday morning already feels more blue than last week… I know it will be just as busy if not more. But all work, and no play makes Jill a very dull girl, right? Hope you had a great weekend and head over to CAS-ology to see what kind of leaping those lizards are up to! 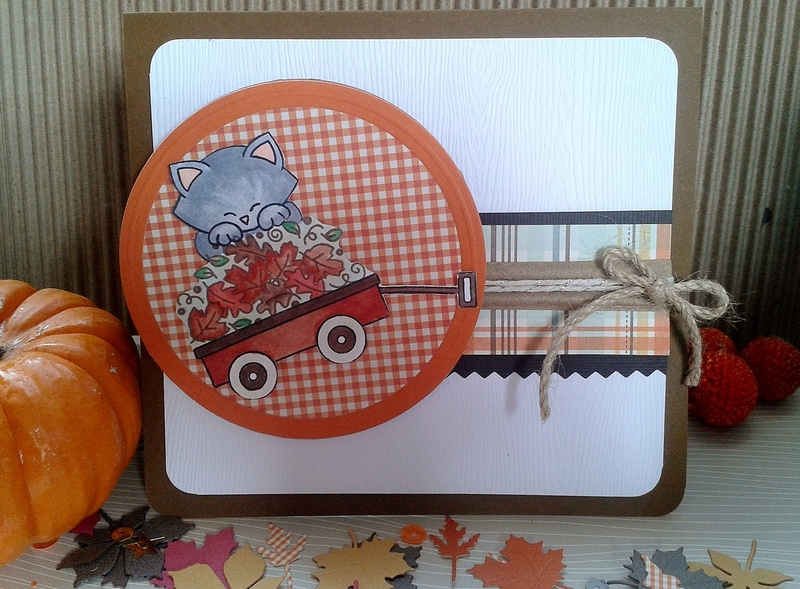 The little cat is from their Newton’s Antics set and the wagon and leaves are from their Wagon of Wishes set. I wanted to have the little cat peeking over the leaves, so what I did was extend his shoulders a bit beyond the stamp. I used a variety papers, including: Gina K. Cocoa heavyweight for the base, Ellen’s Essentials Woodgrain, and a selection of papers from October Afternoon. 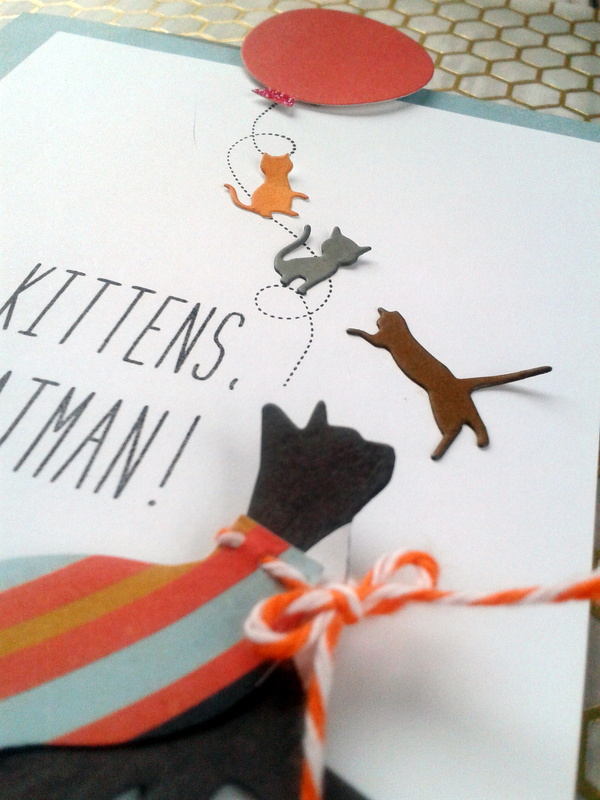 The sparkly twine from May Arts has been finding its way onto many cards as it is so perfect for just a little embellishment. 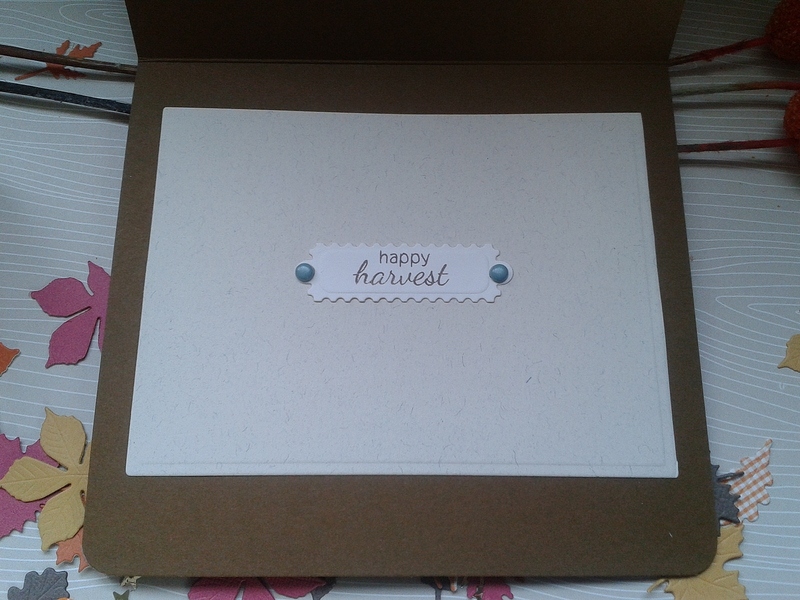 I die cut some natural paper for the inside and used Spellbinders Postage Dies set for the sentiment background. The sentiment is from Newton’s Nook Wagon of Wishes! Signature washi tape from American Crafts finishes off the back! 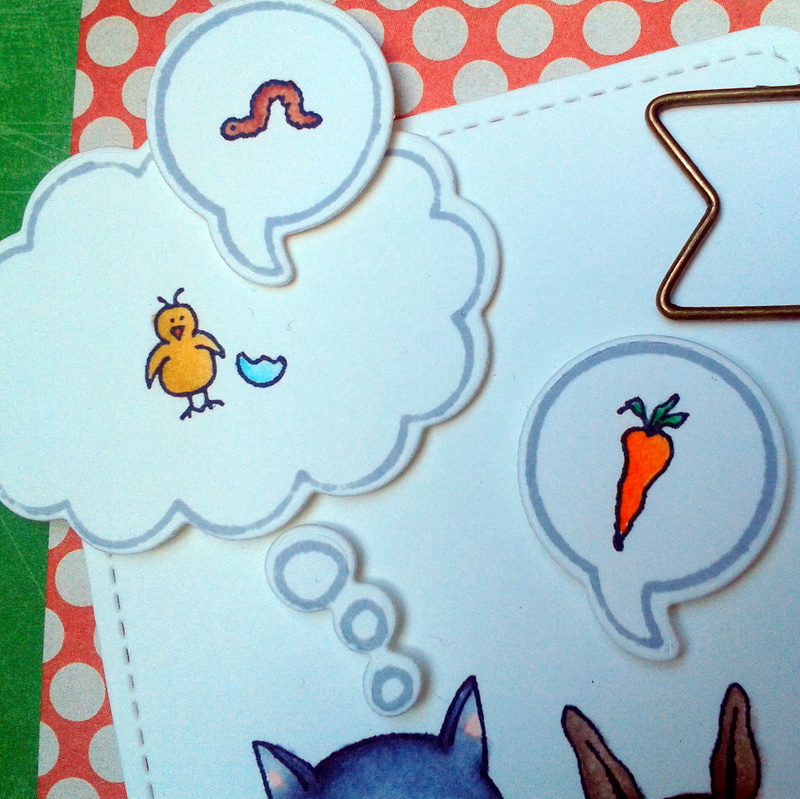 I am printing off more Pinned & Penned labels as I type this soon to affixed to the back! I had hoped to get one more card based on this sketch finished for the challenge, but it’s looking like I won’t make the deadline. 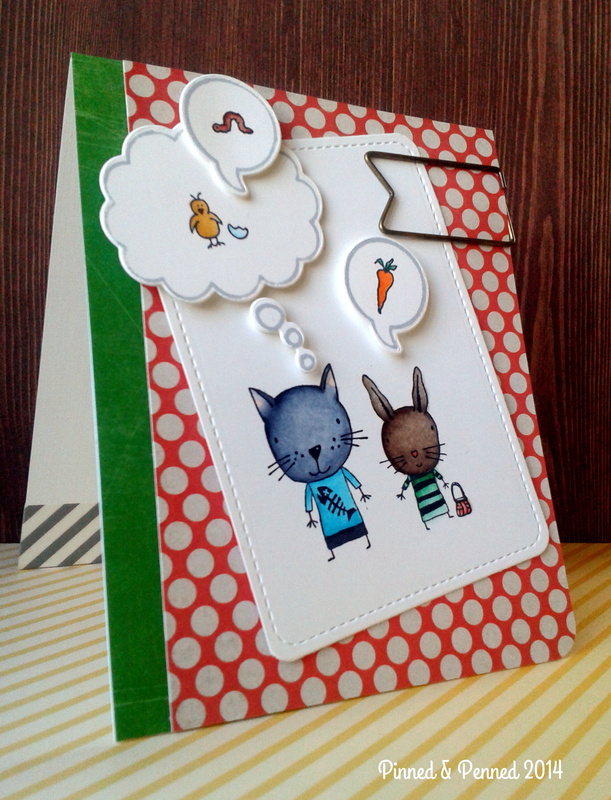 It is a great sketch and I just love Newton’s Nook products. Head over the their blog and shop to see what kind of antics are going on! 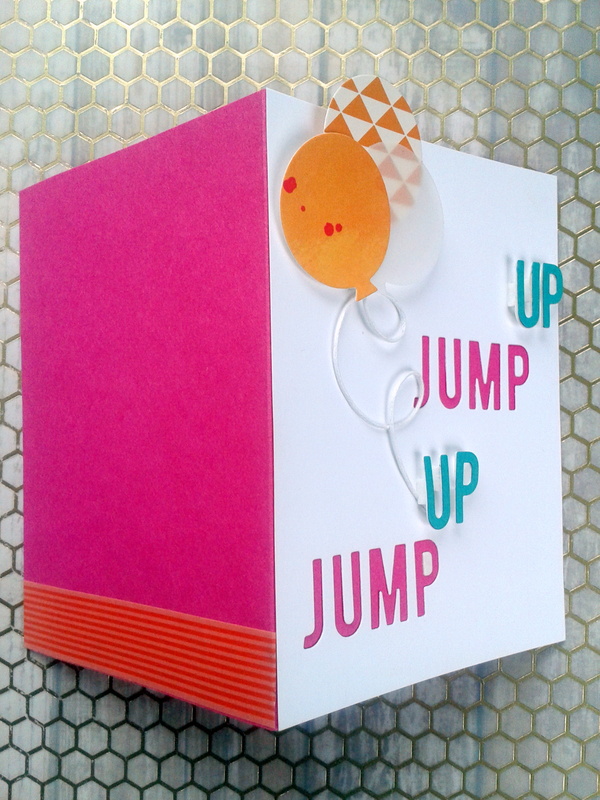 Since Simon Says Stamp has an Anything Goes challenge this week, and I just completed this card, I am going to play along with them. And boy are there a lot of folks playing this week–over 800!! That’s a lot of cards and creativity! The Designer Spotlight cards are pretty awesome! Check them out! Now, look at this little guy!! 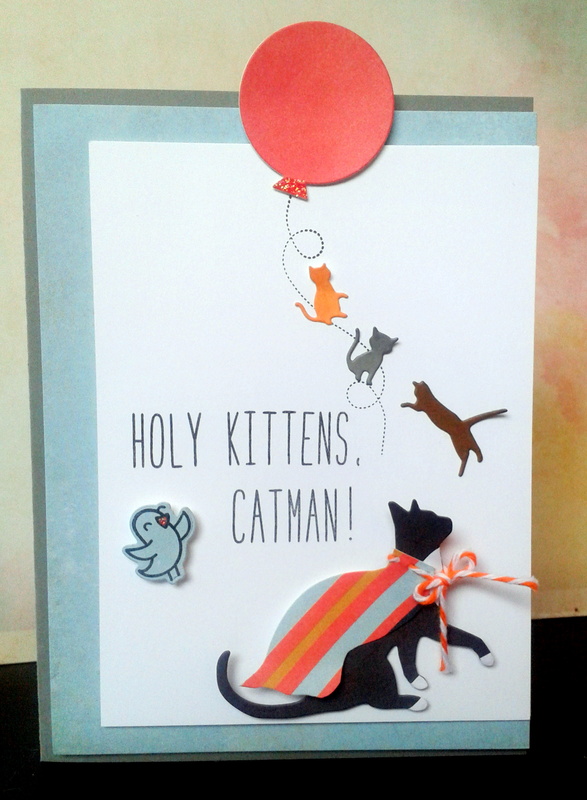 Here’s another cat card I created for a veterinarian thank you. I think this is the one I will send to our vet since this little tough guy is like my Leo–a little devil, but oh so cute!! 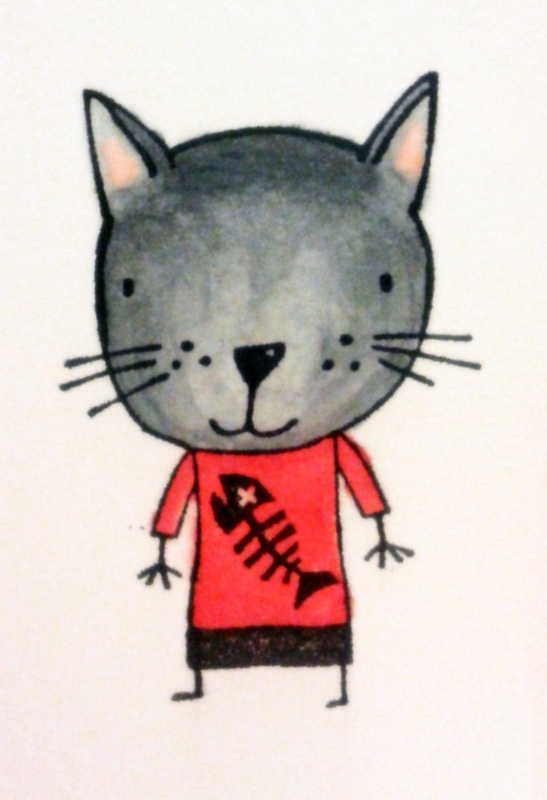 I used Copics COO, C2 & C4, as well as R01, R14 and R17, Memento Tuxedo Black and a light gray ink from Fresh Ink. The die is from Paper Smootches, as well as the sentiment. 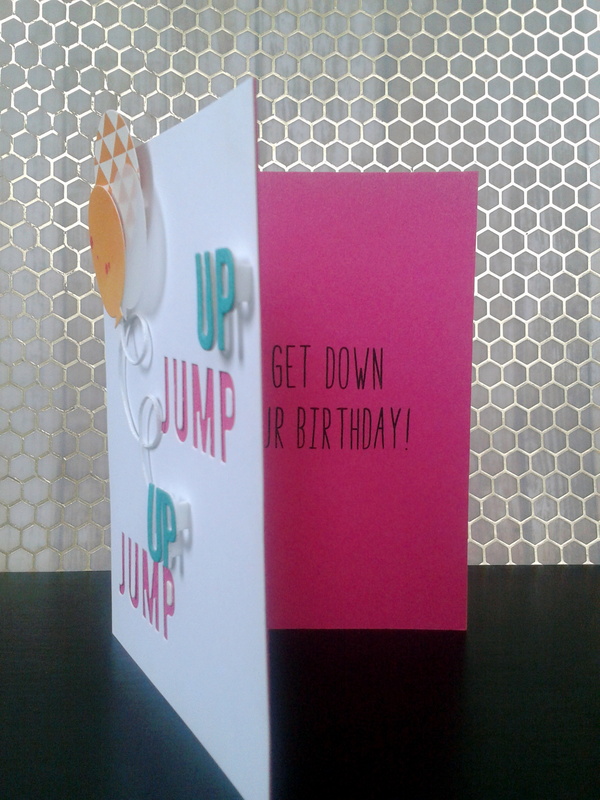 I have used this pop out technique on other cards, and like the effect, though I wasn’t as impressed with how the rectangle turned out. I like the circle pop out better, which you can see here. 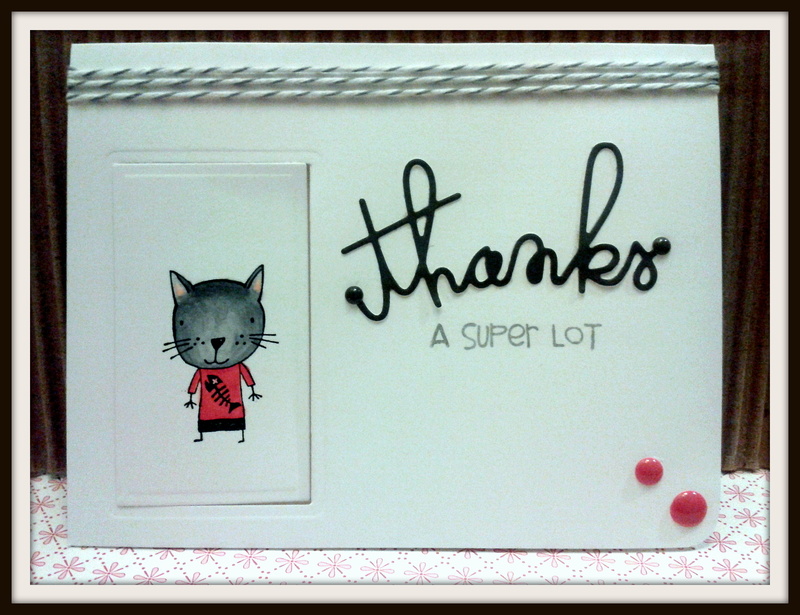 Thanks for checking out my work and make sure to head over to Simon Says Stamp for great inspiration and products!! Whew, that’s a lot of cats for today! And a lot of posts–a super lot! That extra hour we gained really helped me today! 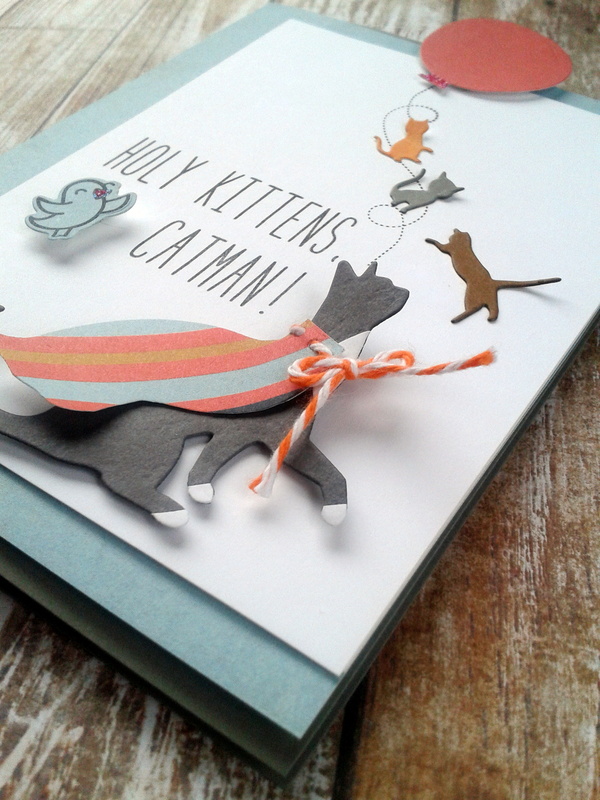 You can never have enough cats…or enough stamps….or enough crafting time! This little guy will be popping up in the next post, so stop back soon!